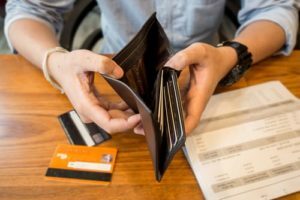 It’s apparent something is wrong with how people use their credit cards for sure, but it is now official – Americans now have the highest credit card debt in the history of the United States. Coming in at $1.02 trillion dollars, it beats the $1.02 trillion credit card debt in 2008. Surprisingly enough, the type of credit that is being used has actually changed pretty drastically since 2008. Back almost ten years ago, many people paid for their homes on credit. Today, though, people are not using credit cards as much to pay for their houses, but rather for auto payments and school payments. School, however, is one of those costs that can be very tough, as many students pay almost double of the listed price, because of interest that accumulates over the four years that they’re in school. Auto loans are another payment that has more recently been put on credit, and is a major factor of the debt rising. All this being said, there is still a large number of mortgages being put on credit, but it has certainly dropped a significant amount since 2008. Additionally, it has been stated that people over the age of 60 are the typical victims of auto loan debt, while those younger are actually declining. However, this is scary as well, because these younger people are not saving for retirement at all because of their other debt. It is said that the average couple in America has only $5,000 or less saved for their retirement. Many Americans are facing a lot of debt, and it can make it hard to save for their retirement. If you or someone you know is in debt, and thinking about filing for bankruptcy, consider Spivack Law. Our law office is dedicated to helping everyday people make the right decision with bankruptcy, and getting them back on their feet (credit-wise). We will do everything possible to put you in the best possible financial situation. Contact our office today for a consultation. ← What Happens When a Paid Contractor Declares Chapter 13 Bankruptcy?